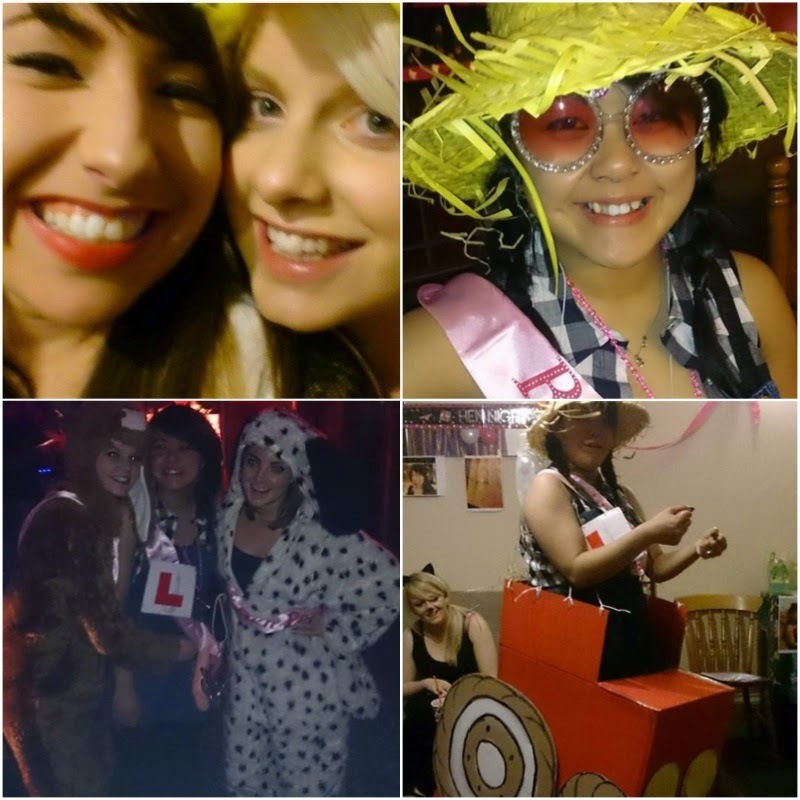 Another week another hen party. 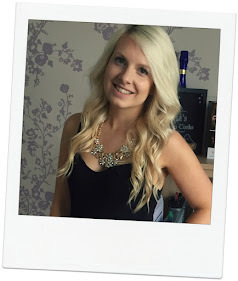 4 days after our Edinburgh Hen Weekend we planned a hen night at home for Selina. 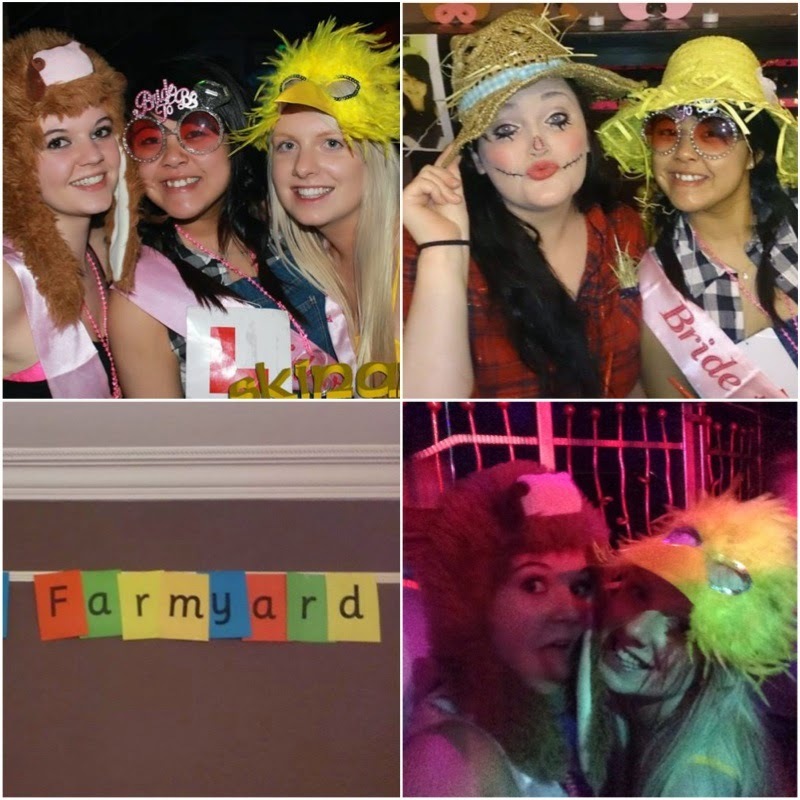 Using the theme of a farm we dressed Selina up as a farmer and everyone came dressed up as a farm animal. 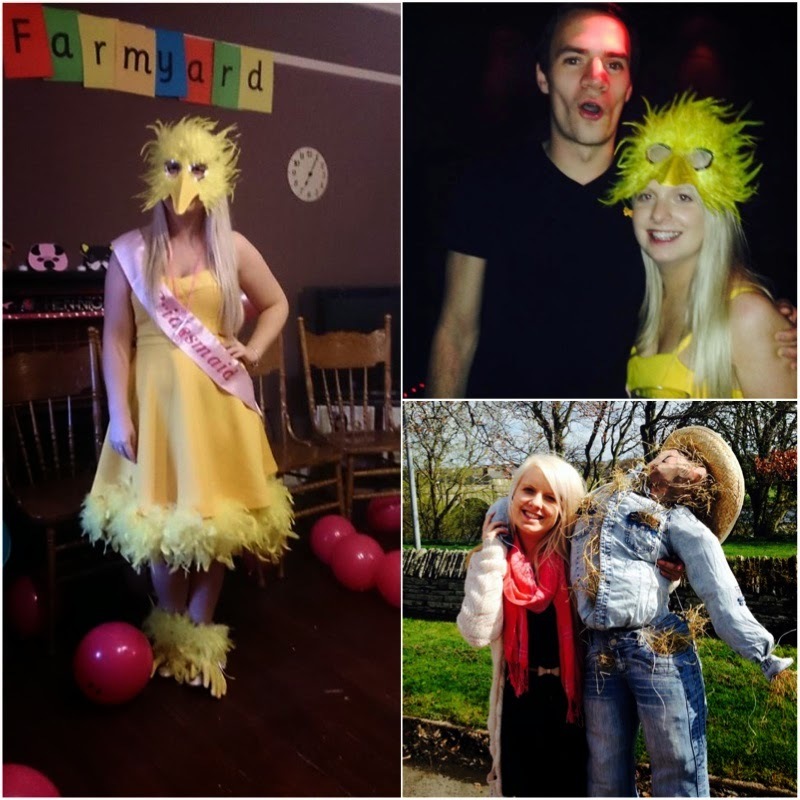 I love dressing up and instead of going for the easy option I decided to sew a feather boa to my dress, buy a mask and make homemade 'feet' to be transformed into an Easter chick. 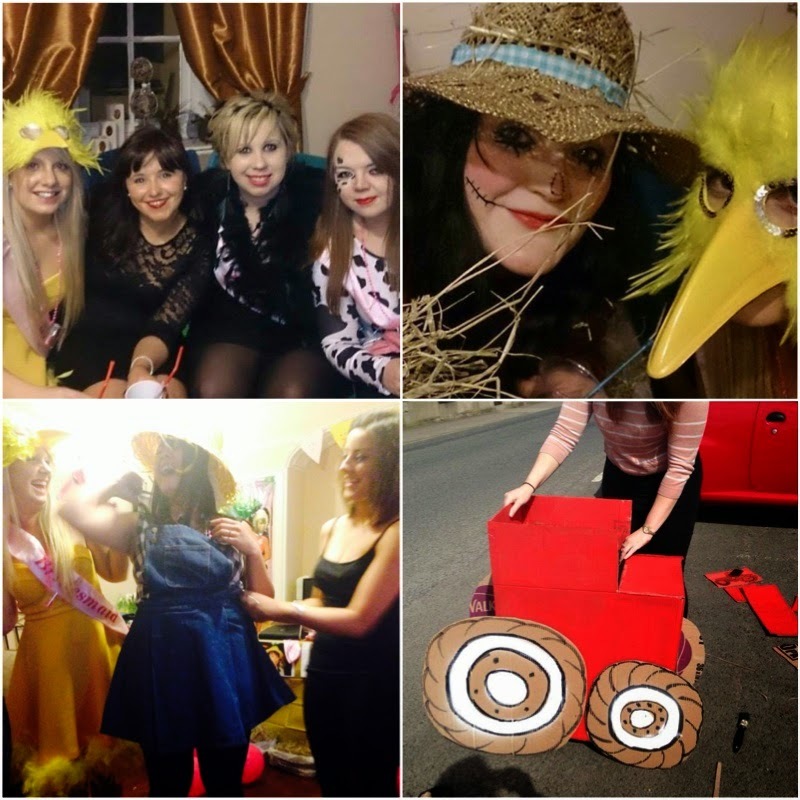 The night was full of dares, drink and farmyard antics (hello homemade scarecrow and cardboard tractor). A fantastic night was had by all. haha you look fab, I absolutely love your outfit!